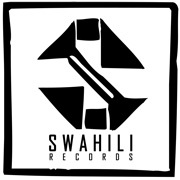 Swahili Records is an independent record label that specializes in traditional East African music, fusion and urban contemporary music, singers/songwriters releases from artists that write their own music. Our releases are having a new impact as it is more than music: it combines culture and tradition of the last century up to the recent development of contemporary music. Acting as artists’ management, booking agent, arts facilitator, event organizer etc. , we work hard to connect the region to the rest of the globe. More than a record label, we are engaging ourselves with community programs in order to empower arts and culture in the region. In projects such as Afrofusion Safari, we bring tourists and artists to the region in order to exchange and explore arts, music and culture. - We also set an arts centre in Arusha, Tanzania where artists can meet, rehearsal, gather information and been easily contacted. The Swahili Arts Centre is as well a place that organizes and hosts workshops weekly, recordings daily and teaches music and fine arts to the street children every weekend. - Swahili Academy is a SHARE IS CARE project where we organize arts and music classes in public primary schools. We organize volunteer artists and schools as well as funds for the artists’ transportations and student’s equipments, such as music equipments, drawing paper, pencils, colors etc.